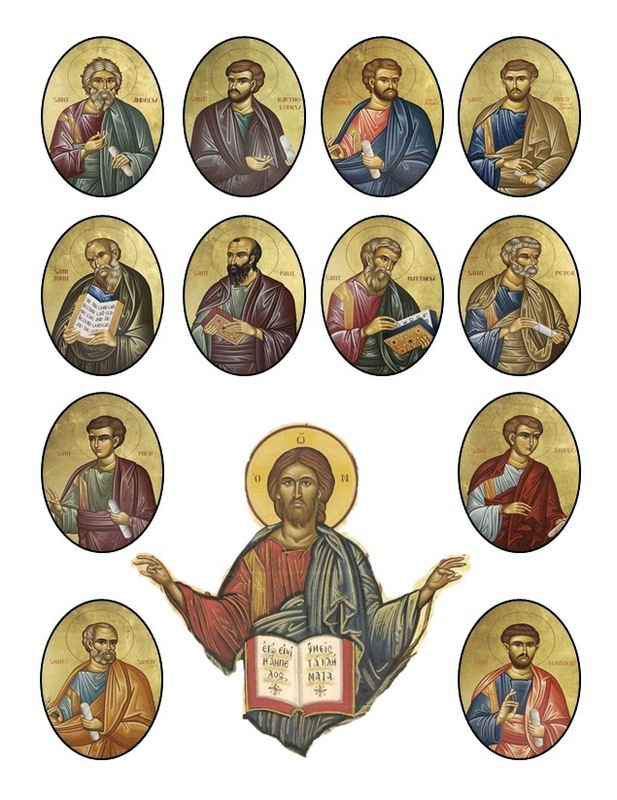 For the 'Apostles fast' in the Orthodox Church, and here's an activity to assemble the icon day by day until the feast on June 29/30. 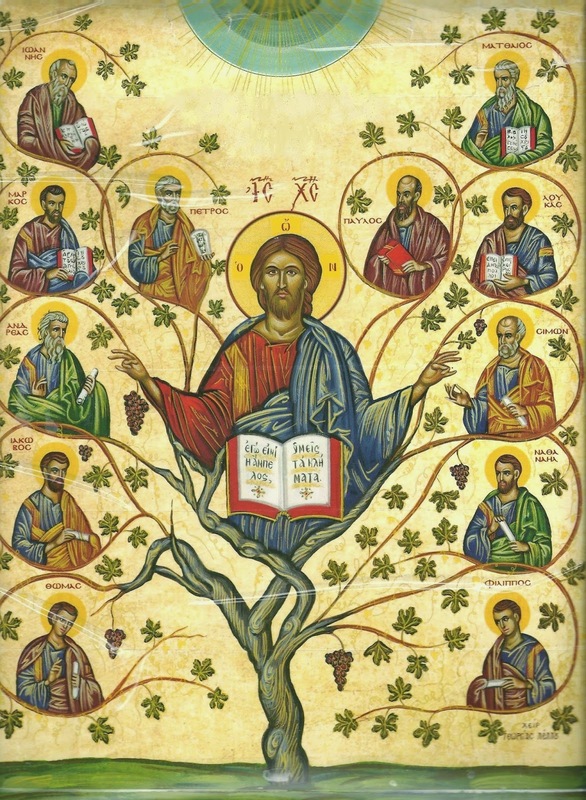 On the first day, the children will cut out and glue the icon of Christ in the center of the Tree, learning the memory verse, "I am the vine, you are the branches; he who abides in Me and I in him, he bears much fruit, for apart from Me you can do nothing." from John 15:5. Each day(s) to follow, focus on one Apostle at a time, reading their life, learning their experiences and placing them on the icon. Each has a troparion as well to chant! Click here for the tree document. 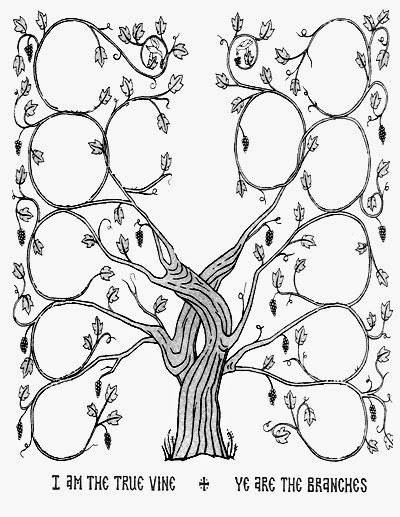 Once the tree is colored by the children, it can be laminated, along with the icons. We have placed velcro on the backsides, and the children re-attach the icons each year during the fasting period. 1. 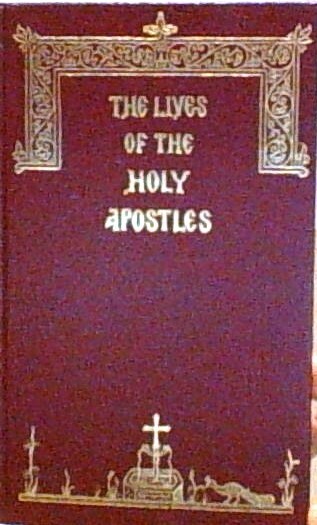 The "Apostle" - The term "apostle" ("apostolos" in Greek; a derivative from "apostellein", meaning "to send") signifies a special mission or "one who is sent." 3. Why are they men? A symbol of the ordained priesthood of men and of Christ's own gender, however, remembering that later on the Church honors other female Saints with the title "Equal-to-the Apostles," without showing any discrimination in gender, rather only designated roles. 4. What they each hold? 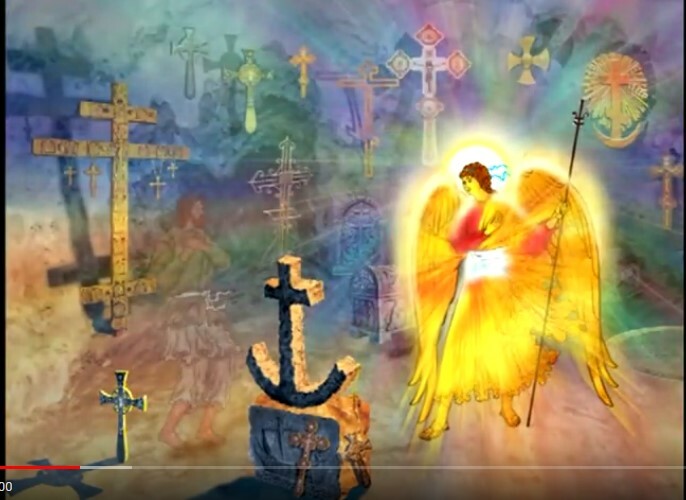 Notice the scrolls from the icon of Pentecost, which the figure "Kosmas" holds representing the people of the world living in darkness and sin, and involved in pagan worship. The scrolls represent the teaching of the Apostles of the Holy Gospel which they carried as a message to all parts of the world. Try to find the Evangelists, who hold an open Gospel book, or Saint Paul who holds a collection of letters. 5. How the Tree extends? 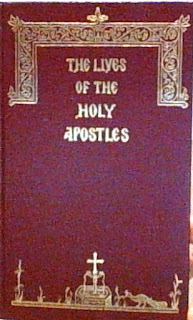 The Apostles organized the converts and formed what we know today to be the One, Holy, Apostolic Orthodox Church, who has kept the Holy Tradition of Apostolic succession. In other words, each and every ordained priest of the Orthodox Church can trace his authority back to one of the Apostles, through each Bishop and Patriarch. This continuation is nothing short of a miracle of the Holy Spirit and of Christ's promise. the book of Romans, chapter 11, " If some of the branches have been broken off, and you, though a wild olive shoot, have been grafted in among the others and now share in the nourishing sap from the olive root,..."
SONG activity: If you are able, try learning the Troparion for the feast. 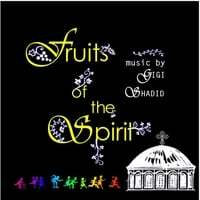 Another fun idea to help learn the names of the disciples by heart, is from the CD by Khouria Gigi TRACK 9. It's a family favorite of ours! This continuation is nothing short of a miracle of the Holy Spirit and of Christ's promise.